The Chinese e-commerce company appointed Jennifer Kuperman to replace Wilkinson as he launches his own international business and communications firm. SAN FRANCISCO: Jim Wilkinson, the top communications executive at Alibaba Group, is exiting the China-based e-commerce giant to start his own comms firm. Jennifer Kuperman will succeed him as Alibaba’s SVP and head of international corporate affairs. Wilkinson will remain at Alibaba for at least two months to aid with the transition. Kuperman is currently VP and head of strategy in international communications for Alibaba. In her new role, she will report to Alibaba executive vice chairman Joe Tsai and work closely with senior leadership, including CEO Daniel Zhang and president Michael Evans, to expand Alibaba’s business globally. Alibaba Group will be one of the anchor clients of Wilkinson’s new firm. He will continue to work closely with Alibaba Group founder and executive chairman Jack Ma and Tsai. Wilkinson’s yet-to-be-named shop will focus on international communications strategy. It will support international companies eyeing growth markets around the globe, such as Western companies entering China, and Chinese companies looking to expand to the U.S. The firm will assist clients with financial communications strategies and execution, including IPOs, mergers and acquisitions, IR, complex international transactions, and corporate reputation. It will also provide crisis and litigation communications strategy and support. Wilkinson said it will target startups to established companies in the tech industry. "We want to work with international companies that face a special situation or financial issue that are trying to break into a key growth market," he said. In the coming months, Wilkinson will recruit "elite professionals" from around the world to join the firm and explore key strategic partnerships with other global communications and advisory shops. "The firm will be based in San Francisco, but want to do a strategic partnership with a group so we can have offices all over the world," Wilkinson said. 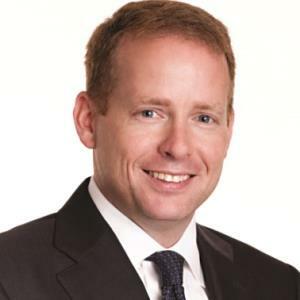 Wilkinson joined Alibaba in May 2014 and was responsible for building the company’s international corporate affairs operations before its U.S. IPO, the world’s largest to date. During his time at Alibaba, Wilkinson has spent time working in China, establishing Alibaba’s international communications strategy and building its international corporate affairs unit, with teams in the U.S., Europe, Hong Kong, and mainland China. He also worked on key partnerships, such as Alibaba’s deal with the Pac-12 athletic conference to bring the first regular season college basketball contest to China with a game between the University of Washington and the University of Texas in November 2015. "[Alibaba] has been the greatest experience of my personal and professional life," said Wilkinson. "Not working with Alibaba wasn’t an option for me because I love [Jack Ma] and this family. I think we have built a great team here and [Kuperman] is going to be outstanding." Before Alibaba, Wilkinson worked at PepsiCo as global comms EVP. Previously, he was managing partner for international business and financial strategy at Brunswick Group. Wilkinson also served as chief of staff to former Treasury Secretary Hank Paulson from 2006 to 2009, the period that included the global financial crisis, and was senior adviser to former Secretary of State Condoleezza Rice and deputy communications director to President George W. Bush.